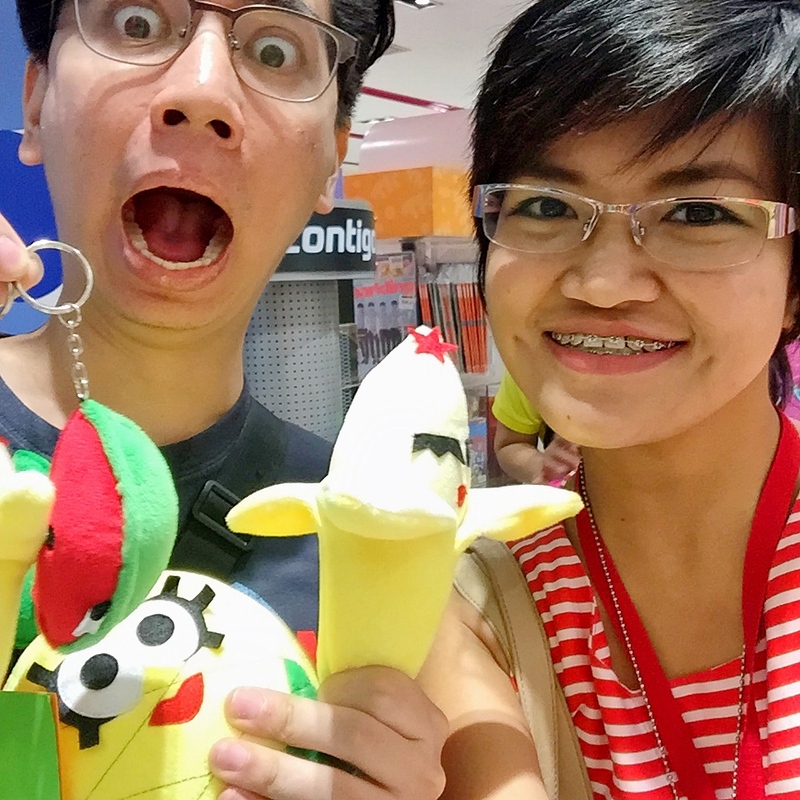 Last Saturday, instead of our usual haunts for his kind of toys, Miah and I went to SM Megamall for my kind of toys. 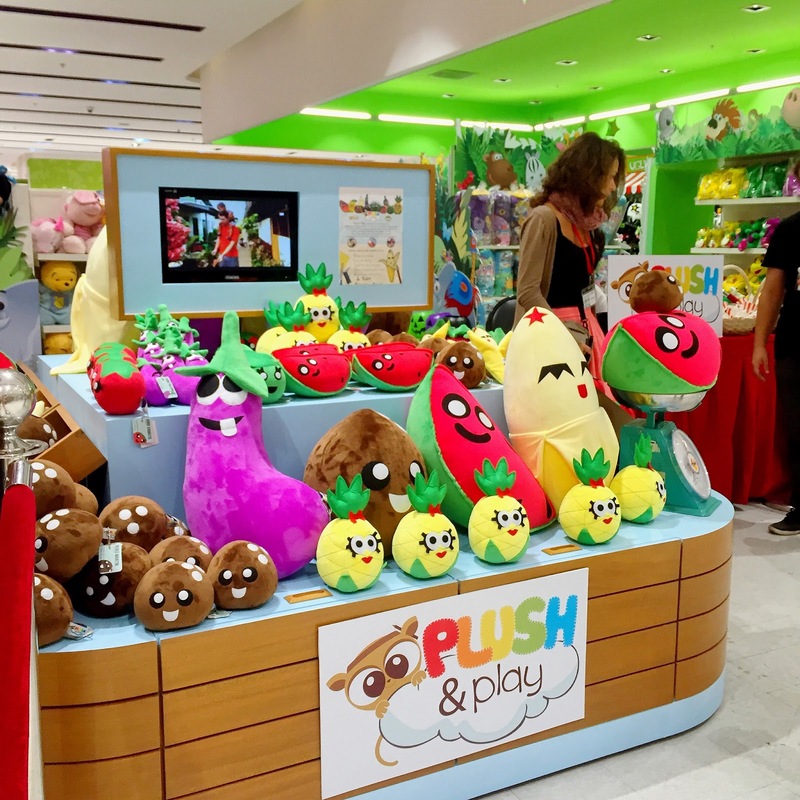 It was the launch of Plush & Play as the first Filipino-made plushie brand to be sold in Toy Kingdom! 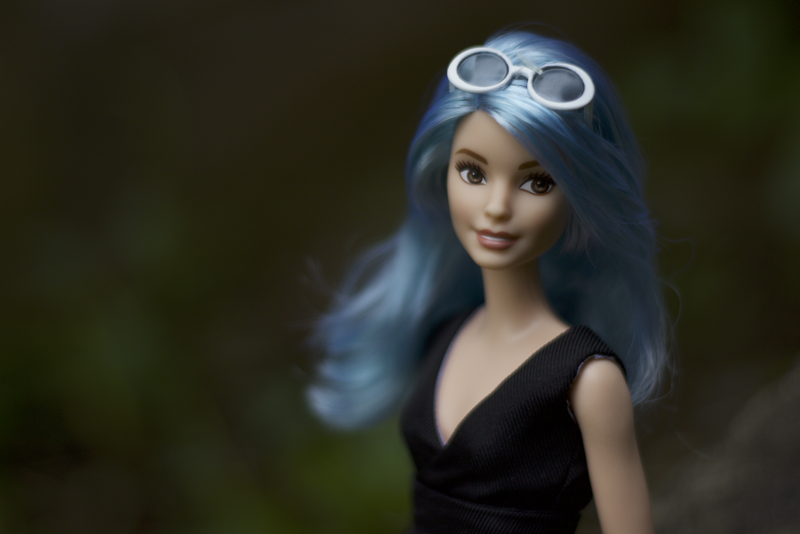 I first saw Plush & Play toys when I was replenishing my Human Nature stash. I found the toys cute, but I was more amused by their funny and witty names inspired by local icons. 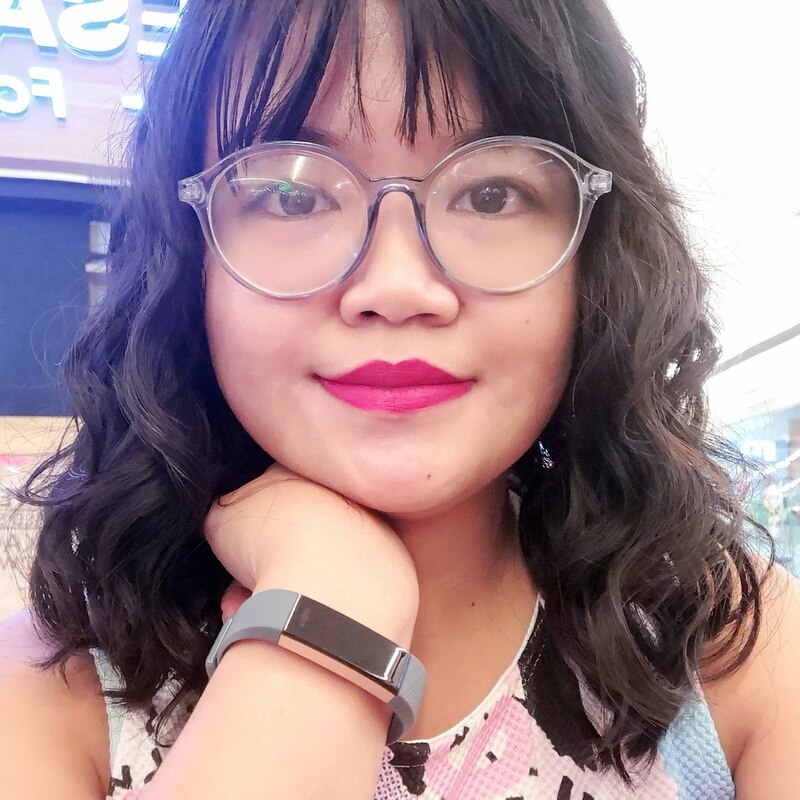 Come on, names like Manny Pakwan, Anne Kamatis, Buko Martin, and Pan Talong would at least elicit a smile, if not a giggle, right? I found Filipinya to be the cutest and planned to buy but never got around to doing it because I wanted to see them in person first. So when I got the invite, it was a no-brainer: I had to go! How could you not go awwww? 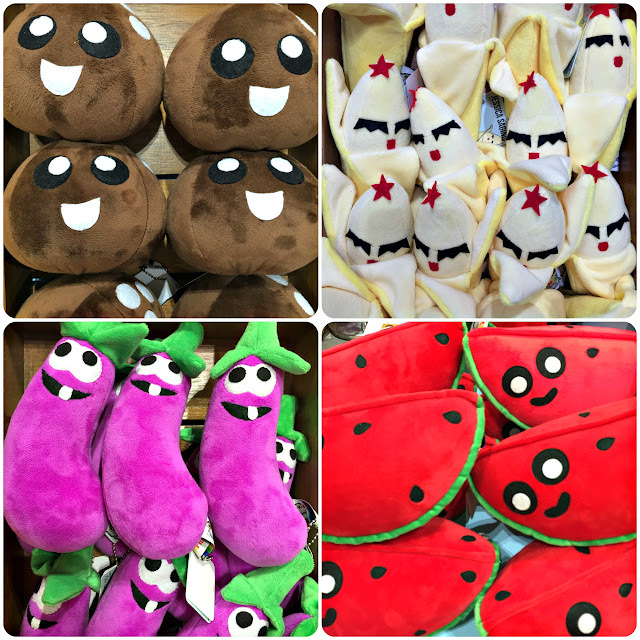 It was a big event where the French founder Fabien Courteille told the guests about how the idea for these fruit and veggie plushies came about, how they love our country, and how the social enterprise in the GK Enchanted Farm is doing. He also told us about how each toy is handcrafted and home-made by hardworking resident mothers from Gawad Kalinga communities. 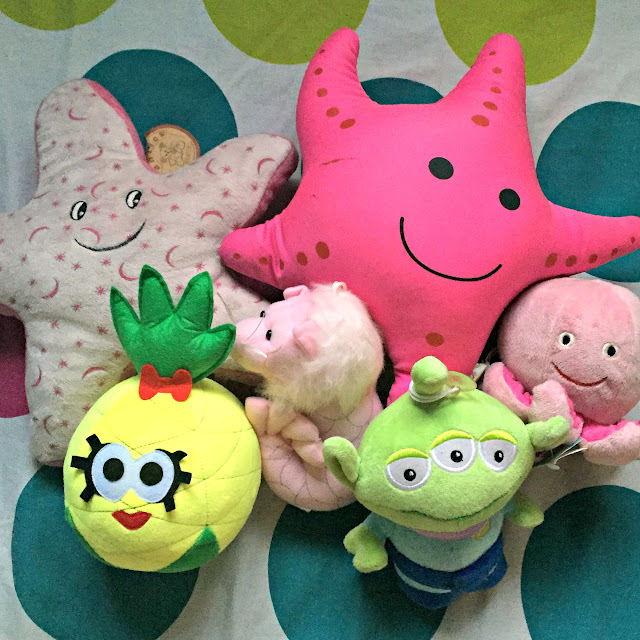 Did you know that aside from inspiring the next generation of young heroes and local social entrepreneurs, these toys also provide income for families? Amazing, right? What an honor to be a witness to that! Happy [human and fruit] faces! 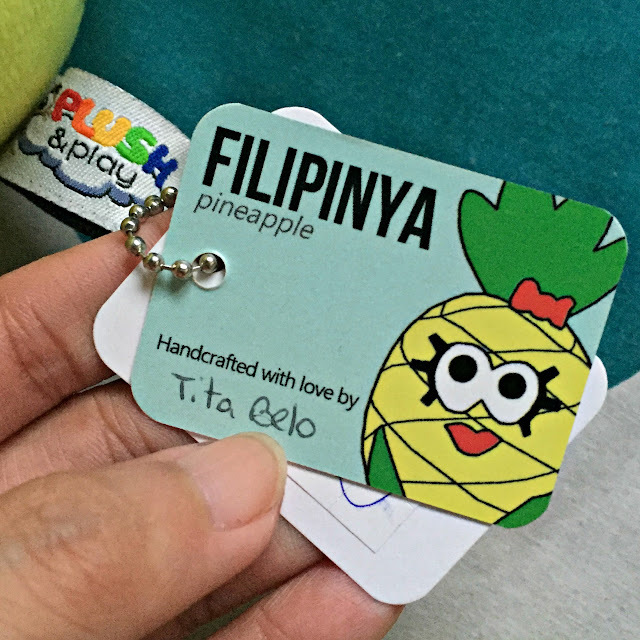 I bought a Filipinya plushie (P249.75) while Miah got Jessica Saging (P179.75). The banana peel is removable, by the way! ADORABLE! We also got free mini Manny Pakwan and Jessica Saging plush keychains from the nice lady going around distributing them to guests. Very affordable, too, considering the quality materials and level of workmanship it took to make them! I am a happy and proud Plush & Play owner! 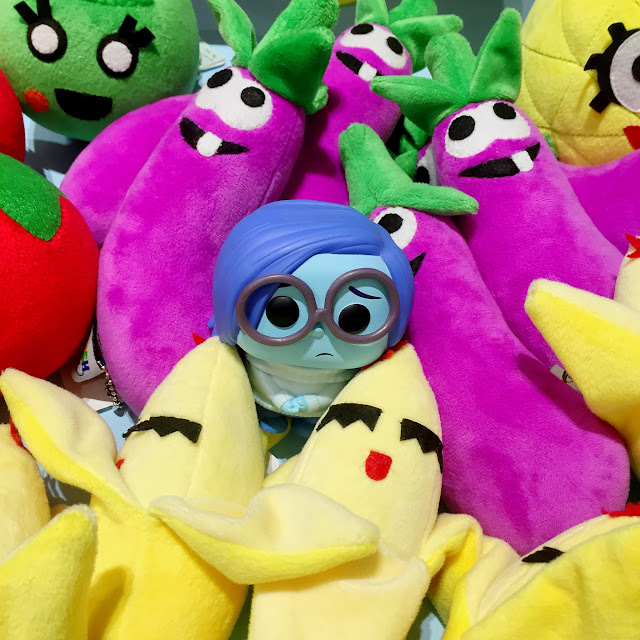 Filipinya now sits with my other plushie friends, and they are one big happy plushie family! As far as I know, they are only available at Toy Kingdom in SM Megamall for now, so better hightail it there to beat the holidaze and accomplish your holiday shopping early! 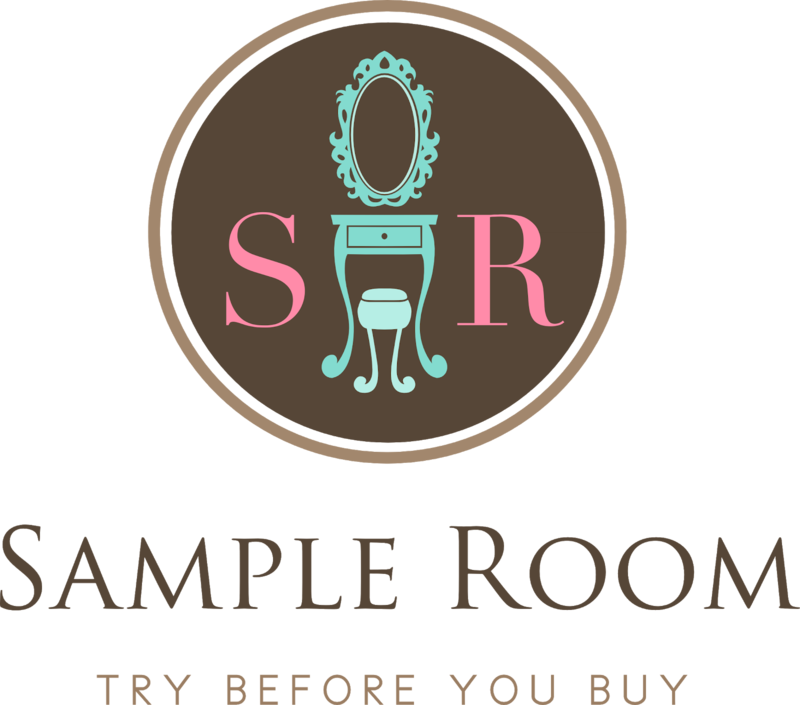 Of course you can also shop from the comforts of your home by visiting their website where there are more selections available, or Human Nature's website where you can shop for other personal care, beauty, and wellness products alongside your toy-shopping. 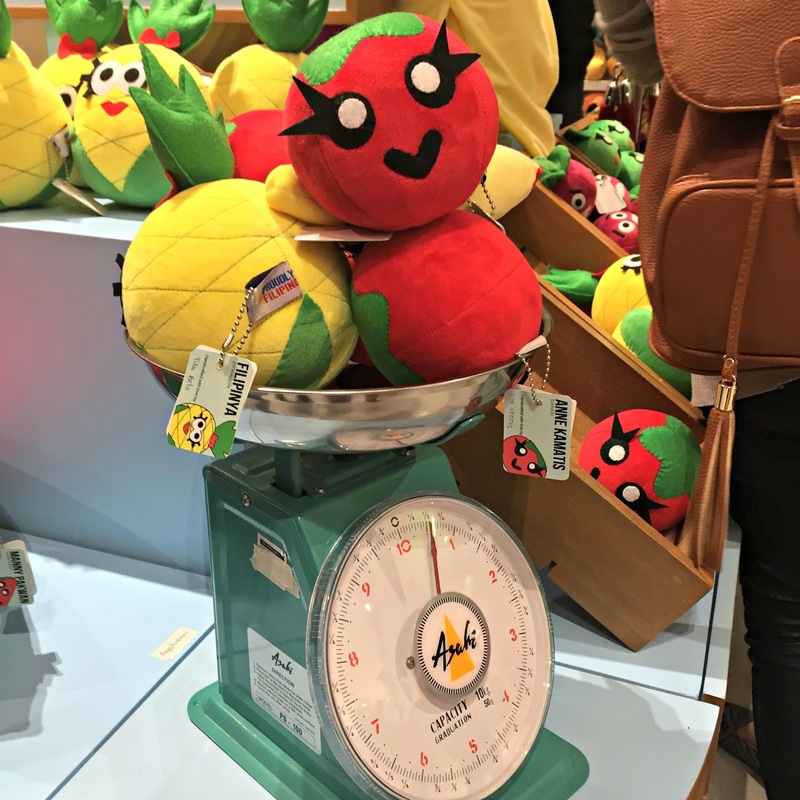 Plush & Play toys are gifts that keep on giving, and I am happy to be spreading the word about these plushies. I think I will even get more for myself! 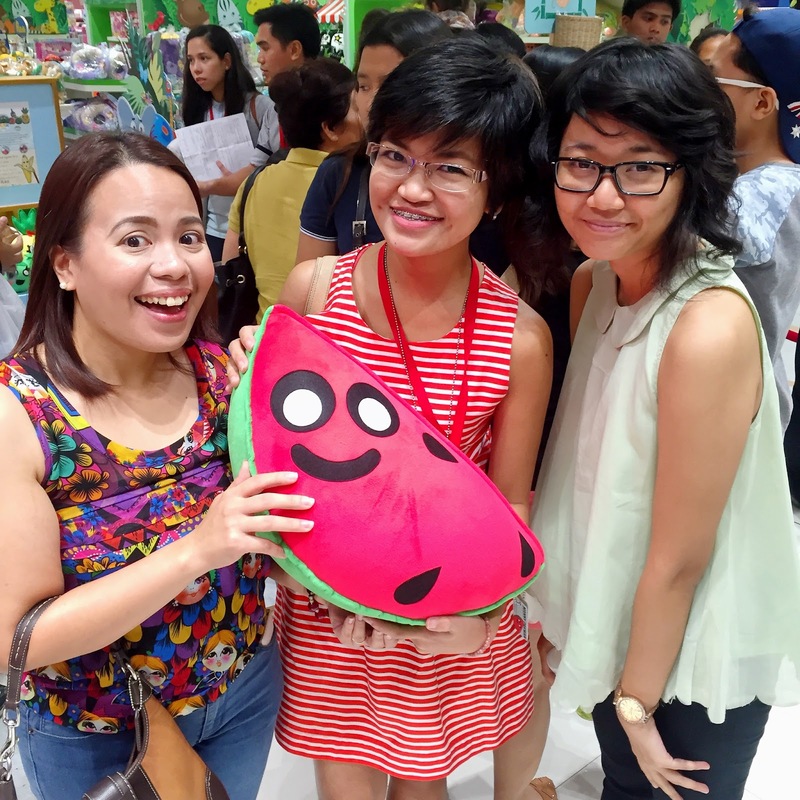 I want that big Manny Pakwan plushie (P749.75), actually. Hmmm. "May your wishes be wise."